Moon Stars and Paper: April means BASEBALL !!!!!!!!! Ah to be young and heal fast. It was less than a month ago you posted a pic of her with a broken arm. You should get a lil envy from me tomorrow, if the PO behaves itself. 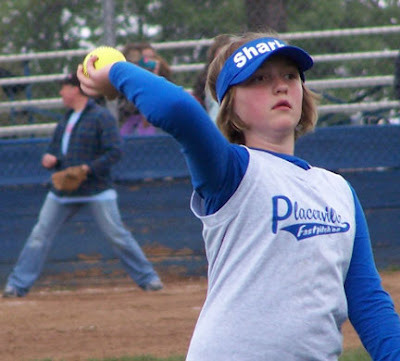 So glad her arm healed in time for her to throw that ball. She sure is growing up fast. I know your so proud of her. Go Ty! 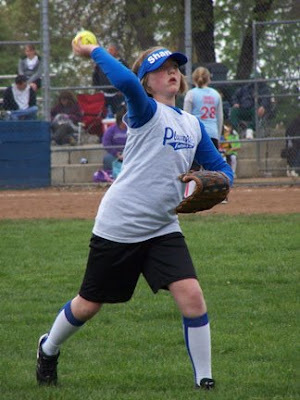 Our Bethy is on select fast pitch softball, and they have started, as well. Wow! what a kid! Way to go! Wow, Ty really has some "hot" form there!!! Go girl!! Strike then all out!! 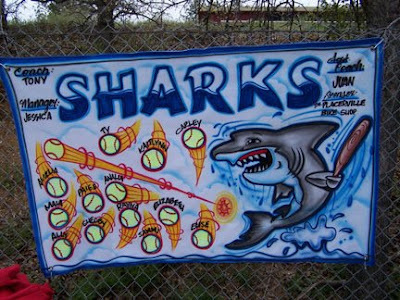 I loved going to the kids ball games. 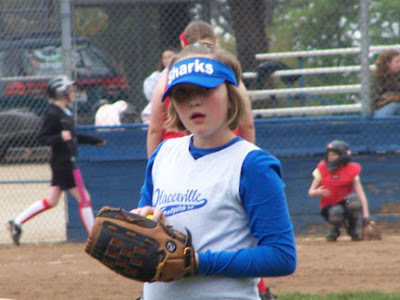 I bet you do too..
TY Henderson plays softball, not baseball!!!! !